Miscarriage, stillbirth and loss are things nobody dreams of ever having to deal with. These heart wrenching events can turn your world upside down. For friends and family, it can be hard to find the right thing to say, and many people worry about saying the wrong thing. More often than not people turn to clichés, claiming ‘everything happens for a reason’ or perhaps ‘it just isn’t the right time’. 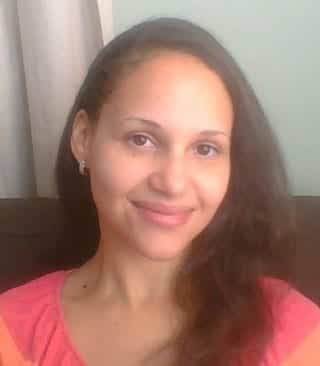 Every woman, and every couple, is unique, and though those clichés might help some, they don’t help others. Miscarriage sympathy cards do exist, but seem mostly to talk about angels and heaven. For those who don’t believe in those things, these words are pretty meaningless. 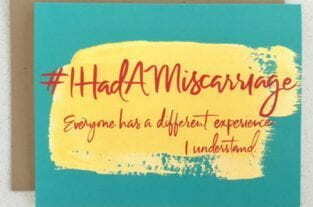 One creative mama decided it was time miscarriage cards really represented those who needed them. Jessica Zucker, a clinical psychologist specialising in miscarriage, stillbirth and infant loss, created a line of miscarriage cards that tackle loss in an honest, relatable and empathetic way. It’s not always easy to find the words, and sometimes it feels easier to say nothing at all. Zucker hopes these cards will help friends and family members to provide support for those who need it. One of the cards even addresses that awkward silence between friends that can occur when it’s difficult to find the words. The moving card reads, “Sorry I’ve been MIA. I didn’t know what to say. I’ll do better. I am here.” This card emphasises the importance of support, the fact it’s never too late to offer help, and that it’s okay to sometimes not know what to say. Zucker, who herself experienced a miscarriage at 16 weeks, hopes the cards will help people suffering from loss. Though Zucker works with couples who have experienced miscarriage and loss, she also knows there are plenty of people in need of help who never make it through her office door. It’s hoped these cards will offer support to the people who need it, and act as a reminder of the suppot and love available to them. Zucker hopes her cards will allow people to start a conversation about loss. Many people struggle through loss alone, unable to find the words to open up to those around them. It can be difficult to find words of sympathy too, and many people worry about making things worse. Sometimes people shy away from the subject, unsure whether the couple will want to talk about what happened. Zucker’s cards offer a way of sending heartfelt sympathy, empathy, love and support. A way to say “I’m here for you,” without putting anyone on the spot. Zucker hopes the cards will let people talk more openly about loss, if they want to. One card from the range focuses on pregnancy after loss and says, “I know how hard this must be to you to be pregnant after your loss. I understand that you’re terrified. I’m here for you.” Pregnancy after loss can be a very emotional and anxious time, and this card addresses that. It also offers some much needed support to the women who need it. Zucker’s cards also offer a voice to couples who want to share their baby loss or stillbirth announcement with friends and family. Birth announcements are everywhere, but it’s not often you see a stillbirth announcement. The card which reads, “With heavy hearts we lovingly honour the memory of our child who was with us too briefly,” allows parents a way of acknowledging the loss of a baby. You can order the cards for just $4.50 each from Zucker’s website here. If someone you know has recently suffered a miscarriage, take a look at BellyBelly’s article How To Support Someone After A Miscarriage Or Loss. It’s also worth checking out the article 9 Things Not To Say When They’ve Had A Miscarriage Or Loss so you know the phrases to avoid when speaking to someone experiencing loss.